It did not rain overnight and was clear this morning, so that was a relief. The first few hours of the day had a lot of ups and downs, so we agreed that Jett Cat would get up early to get a head start. 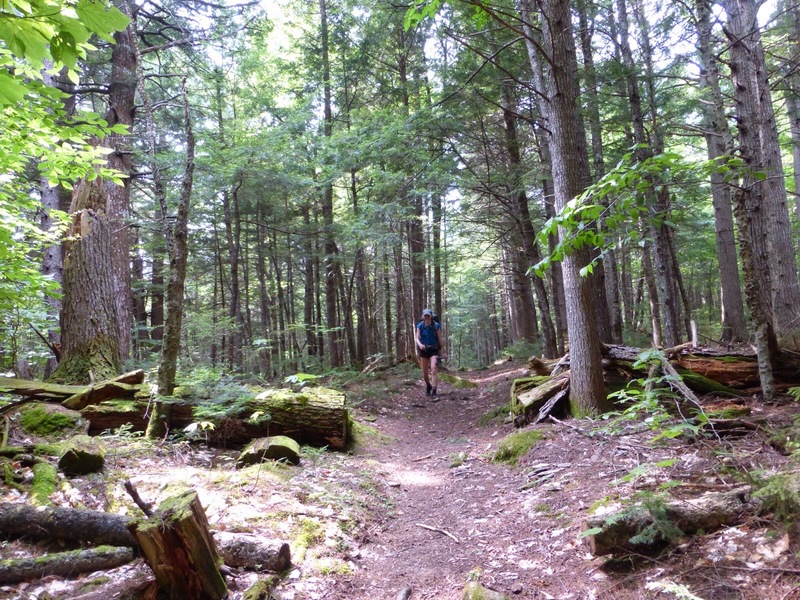 She likes to hike a more relaxed pace and longer day, so after the surprisingly slower terrain yesterday, we wanted to buffer in some extra time to make our planned 25mi without having to hike late. Jett Cat hiked out with Seabiscuit at 5:45am, Lint was out around 6am, and I left at 6:30am. I was immediately happy with our decision to have Jett Cat start early as the terrain was some of my favorite to cruise and I was in the mood to stretch my legs and HIKE. I flew through the ups and downs while listening to my MP3 player. It felt amazing and I took it in knowing this was the last time I might feel this good this summer. I’m due to have cramps and the low energy that comes with it any day now, so it was good to feel energized and pumped before that hits. 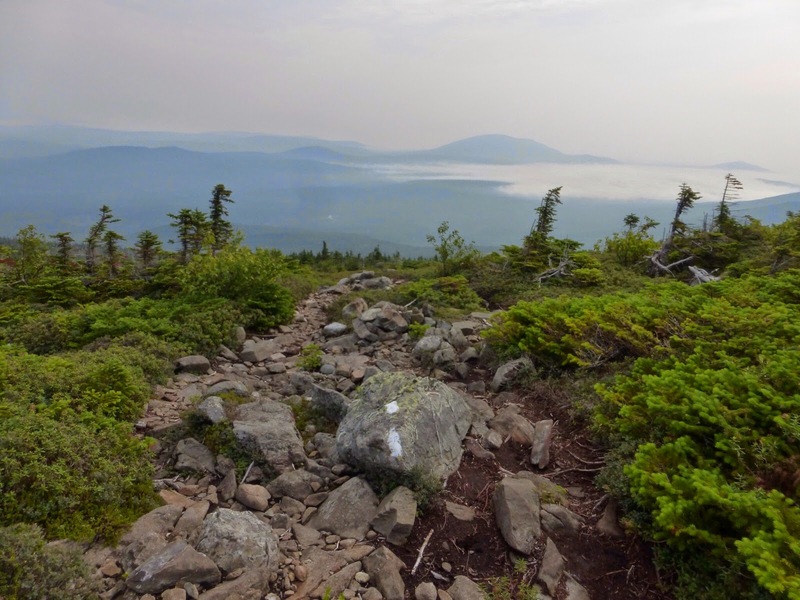 I soon found myself at the top of the final big climb(White Cap Mtn) before Katahdin and the view was hazy, but quite nice. The guide description says there is a view of Katahdin from the top and I’m not sure if it was clear enough to see it. I took a picture of what could be Katahdin in the distance, but I’m not sure. On my way to the top, I was able to load the blog, do some emailing, and make some calls. As I headed down, I realized I must have dropped my MP3 player in the last couple miles, dang! It was rocky and not worth taking the time to go back. Jett Cat had my second backup player, so I just let it go and knew I’d get the other one from her. So frustrating to lose it so close to the end of the hike and in a moment I was feeling so great. Dang! I was able to practically jog the downhill and caught up to Lint and then Jett Cat by 9:20am and the trail finally leveled out! Seabiscuit had hiked with Jett Cat a couple hours and was hiking on ahead so I hiked with Jett Cat and Lint hiked a bit ahead seeing us a couple times before lunch. 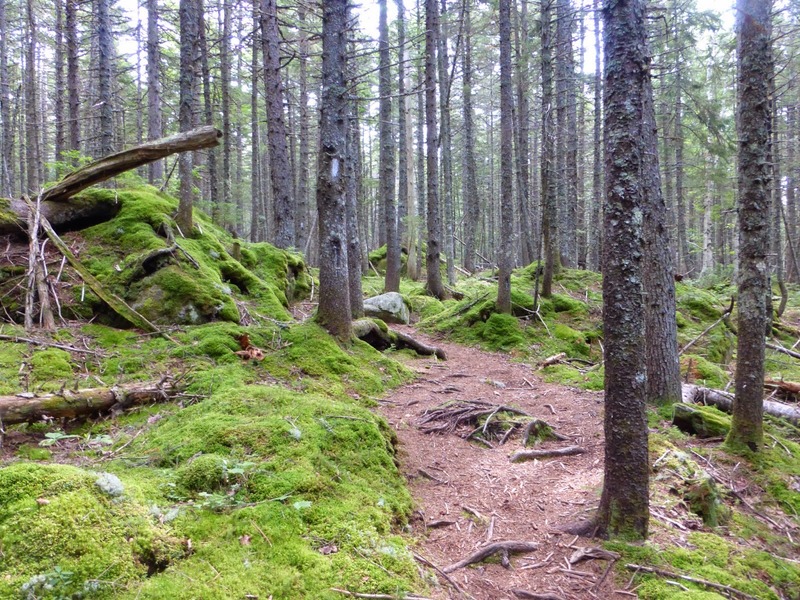 The mossy old growth forest in Maine is very silent and feels sacred in a way at times. It is difficult to capture the uniqueness of it in a photo, but I tried. We really like it a lot. 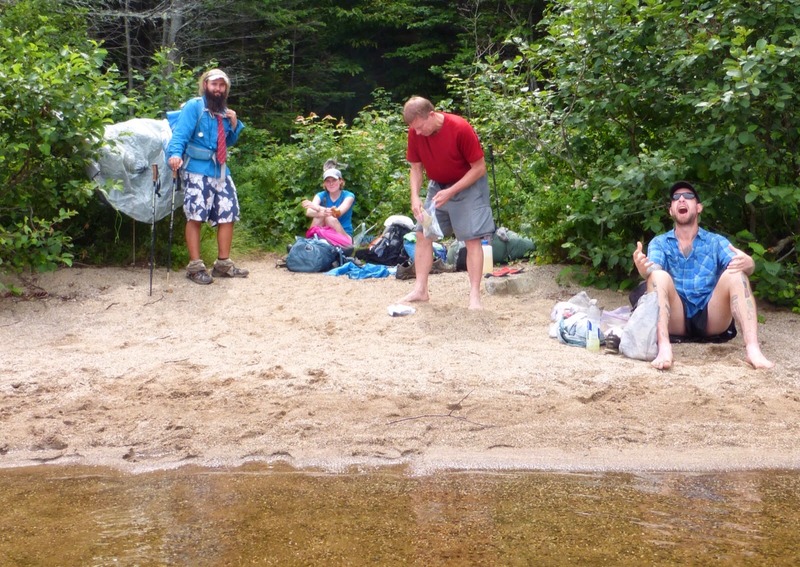 We had lunch at a small beach along Crawford Pond. We were very happy with our mileage and had done 14mi by noon. Which left only 11mi to go on easy trail our initial destination. When we got to the beach by the pond, Geared Up was there. We had seen his name in the registers recently. 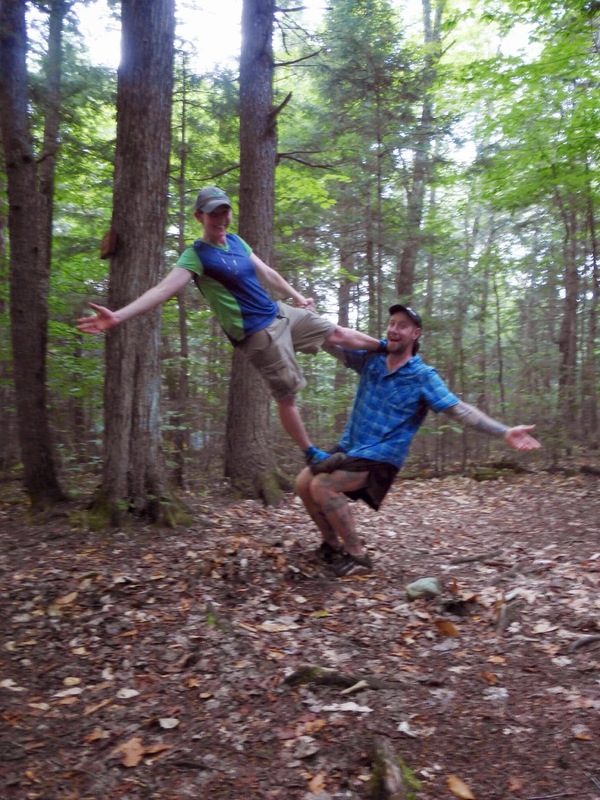 It turns out that he chose to jump up to do this final stretch with friends and plans to return to the section he missed after reaching Katahdin. There have been a lot of hikers who have just directly skipped in the last couple of weeks which is interesting so close to the end. Many people are saying they are just done or that they have a deadline. 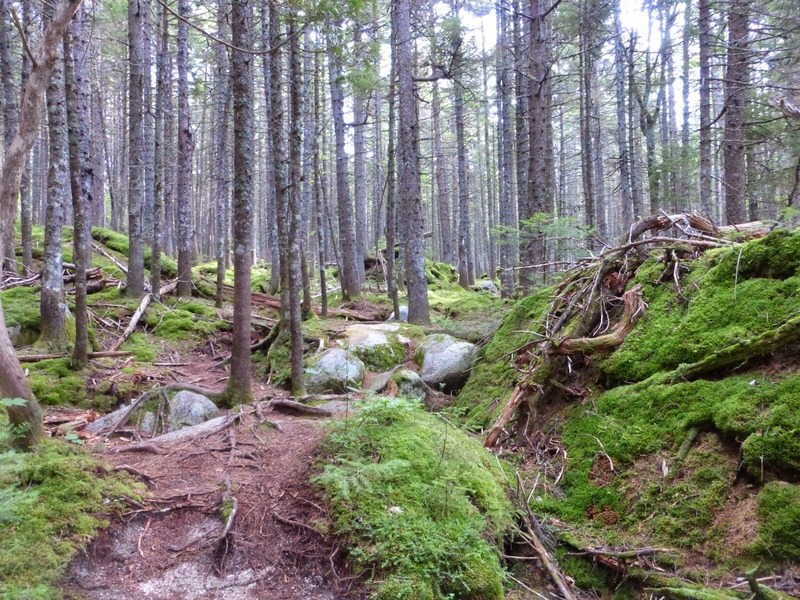 There have also been a lot of flip flippers who made it halfway going north and then jumped up to Katahdin to then hike south to complete this section before bad weather sets in. There was also a section hiker at the pond completing the AT after 20yrs of section hiking which is really cool. 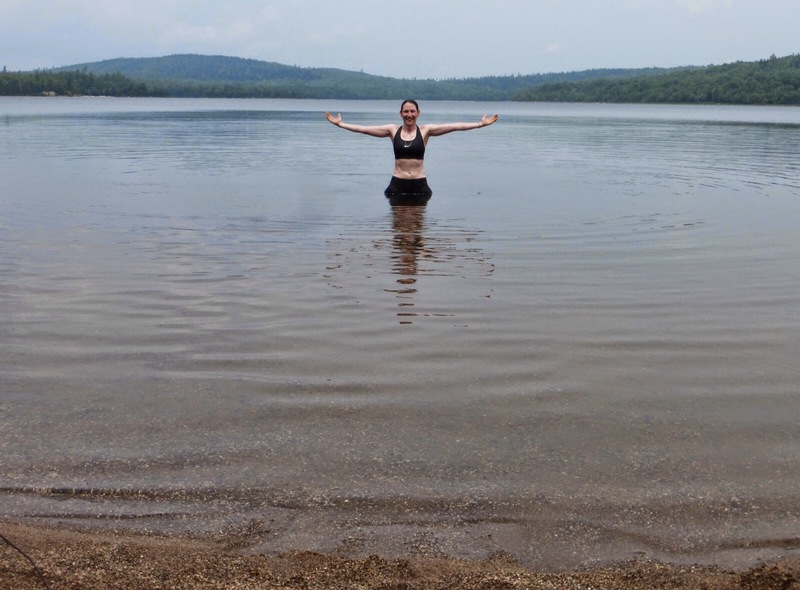 It was pretty humid out and I’ve yet to swim this trip, so I went for it and it was perfect timing. Really enjoyed it and felt great afterward. Couldn’t get Jett Cat to do it with the crowd, but there are still a couple days left for her to get in a Maine pond. After lunch, we hiked with Lint for hours and the trail finally leveled out! 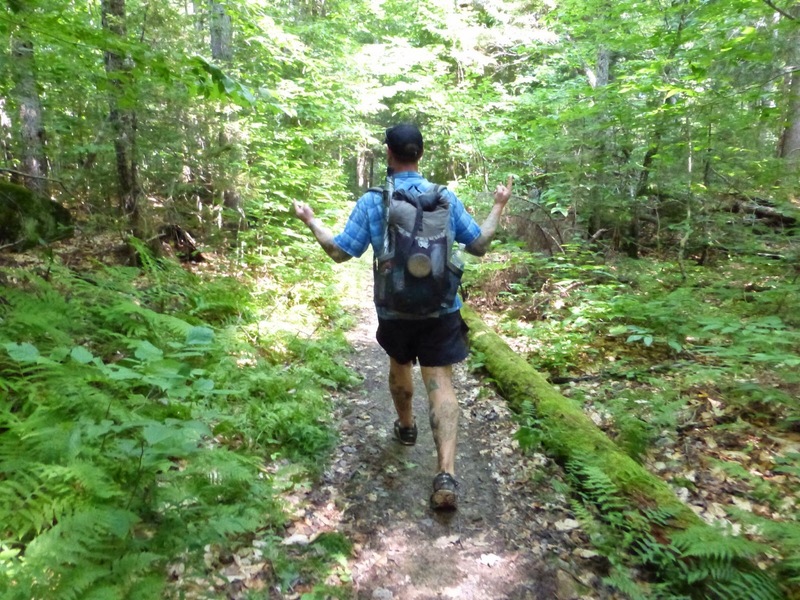 We cruised along at a 3mi/hr pace and enjoyed hiking with Lint who has plenty of stories from his 11 thru hikes. His total mileage after this hike will be about 22,000mi. 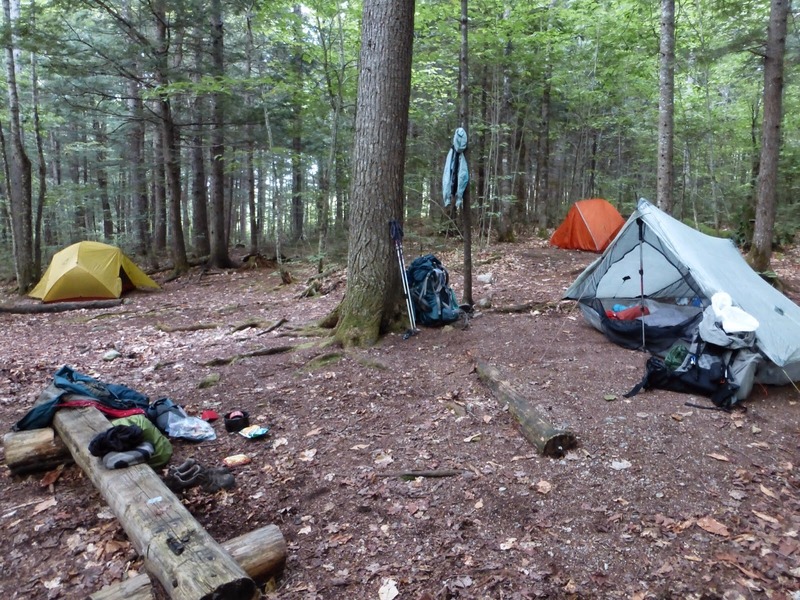 As I mentioned before, he is an ultralight hiker with a base pack weight of 6.5lbs. Here he is in action along with Jett Cat enjoying the level trail. Later in the afternoon, we came upon Seabiscuit who hiked with us to camp. We reached our planned campsite at the popular Antlers campsite before 5pm and just couldn’t stop that early so we hiked another three miles to the next lean-to. We had to laugh at going late last night and having Jett Cat leave early this morning just to end up finishing early today, but were happy to get the miles in. We have had such unpredictable terrain that we just weren’t sure how long today’s mileage would take. Lint decided to hike on further and will finish the day before me most likely to complete the trail in 86 days, which is a great accomplishment. He only had the CDT left to do to complete his triple triple which only one other hiker has done. We took one last photo together and since Lint can’t take a normal photo, we had fun doing an acrobatic paired pose he’d learned. We may take this show on the road someday, ha! It was great to hike with him for a day and I’ll see him more back home in the hiker community as we both live in Oregon. It was a great day and was fun to finally be on relaxing trail. It was nice to do 28.5mi before 6pm. There is more flat trail to come tomorrow and we are hoping the weather will continue to hold. Just three more days of hiking left!